Sometimes a politician introduces a bill so monumentally wrongheaded that you have to wonder what he or she is thinking. Such is the case with Rep. Ted Poe (R-Texas) who recently introduced the “Bringing Awareness and Knowledge to Exempt Schools Against Legislative Encroachment Act” (BAKE SALE Act), that would prohibit any funds from being used to implement the USDA’s new rules for school fundraisers like bake sales. Poe is inexplicably railing against the USDA’s newly implemented Smart Snack nutrition rules for the nation’s schools. The healthy guidelines require that snack items must be a maximum of 200 calories. There are also limits on fat, sodium and sugar and the rules apply to all snacks sold via school vending machines, school stores, a la carte cafeteria lines and food fundraisers. The Smart Snack guidelines also require each state to set limits of their choosing on school food fundraisers, like bake sales, that don’t meet the healthy guidelines. “Turn off the ovens, the school bake sales are over,” Poe declared on the House floor Tuesday. 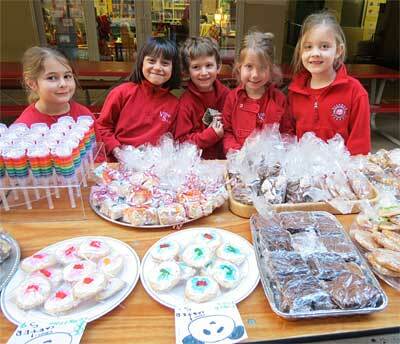 Poe said bake sales had been used by parents, teachers and students to help fund a range of activities. Further evidence that Undersecretary Concannon is being forthright can be found at this database sponsored by the National Association of State Boards of Education. A review of state fundraising exemptions shows a wide variety of policy decisions – for example, while Arizona has chosen to allow no exemptions (e.g. no food fundraisers that don’t meet Smart Snack standards), bake sales and the like are permitted in Colorado (up to three per school building per school year), Idaho (up to 10 per year per school site), and in Minnesota (local education agencies may request approval for a case-by-case exemption from Smart Snack fundraising standard.) I’m surprised that Poe is not satisfied with USDA’s deference to each state’s wishes. But the real question is this: Does Rep. Poe understand that his BAKE SALE Act, which aims to restore unlimited junk food fundraisers in schools, would help undermine the financial stability of each district’s federally reimbursed meal program? When a steady stream of junk food is sold on a school campus all day, too many students purchase the treats rather than a school lunch, leading to a drop in school meal participation and revenue and reimbursement loss. In our local high school, prior to the Smart Snack rules, students would have a wealth of junk food choices daily thanks to continuous fundraising efforts. A typical day might see a school club’s donut sale in the morning, a charity pizza or bake sale outside the cafeteria at lunch and an athletic team’s sale of candy bars in the hallway throughout the school day. Back in May, Poe expressed concern about the financial health of school district meal programs as one of 43 House members who signed a letter asking Agriculture Secretary Tom Vilsack to roll back healthy school nutrition standards. The letter requested waivers for schools struggling financially with healthy nutrition standard implementation. The backlash to this request was immediate as public health advocates, parents, the nation’s military leaders (see their report on school meals, Retreat is Not an Option) and Michelle Obama vowed to fight the waiver request for the sake of our children’s health. Yet in spite of that backlash, Poe now proposes rolling back yet another school nutrition provision in order to allow junk food fundraising on school campuses on a regular basis. You can’t have it both ways, Rep. Poe – demanding waivers for school meal programs that are struggling financially, while causing more of these programs to struggle by forcing them to compete with daily junk food fundraisers. If the congressman remains unconvinced that unlimited junk food fundraising harms the financial health of a school’s reimbursable meal program, I suggest he speak with some school food directors in his home state of Texas. The many directors I’ve spoken with over the years consistently railed against the constant availability of junk food treats on school campuses that compete with the healthier school food programs and siphon off precious revenue and reimbursements. Trying to fund school activities or charities at the expense of children’s health is unconscionable. I can only hope that Congress realizes that the BAKE SALE Act will not only damage the health of our children, but the financial health of the very school lunch programs we’ve worked hard to improve.